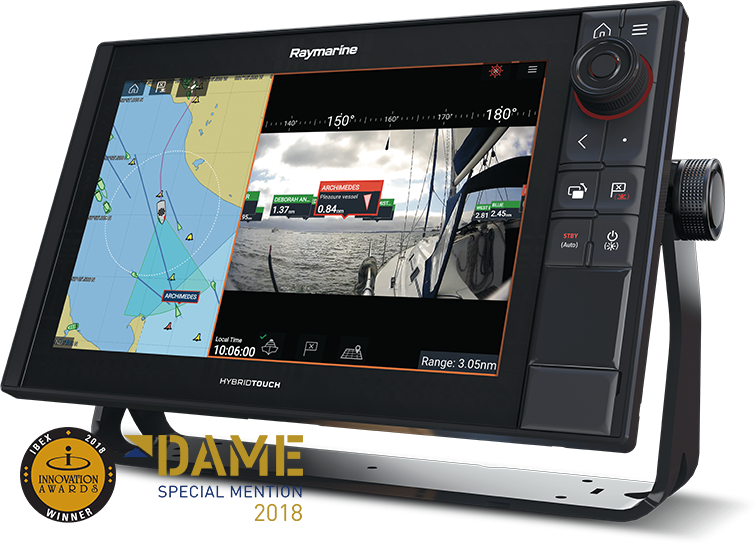 Live navigation objects overlaid on Axiom HD video display. 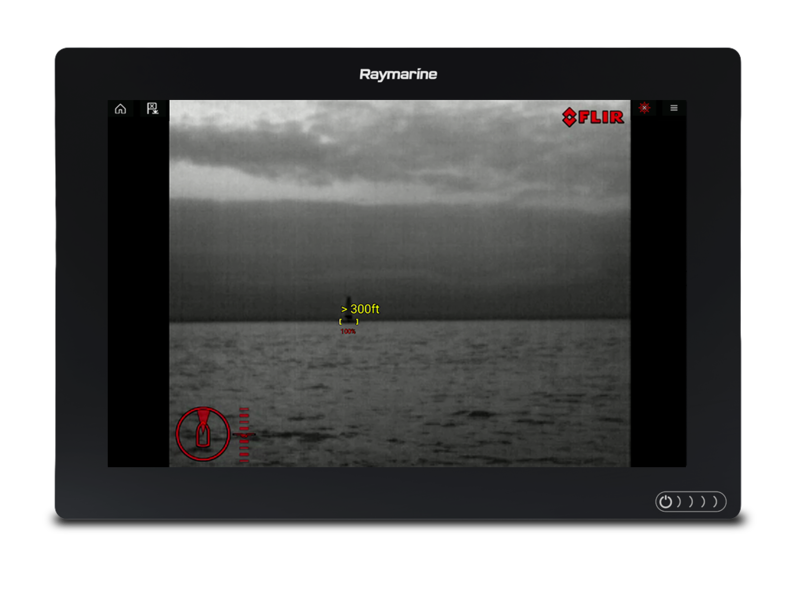 See live AIS identification, nearby waypoints, and major chart objects on your video display. Requires the AR200 Augmented Reality Stabilization Module and CAM210 or CAM220 Marine IP Cameras. 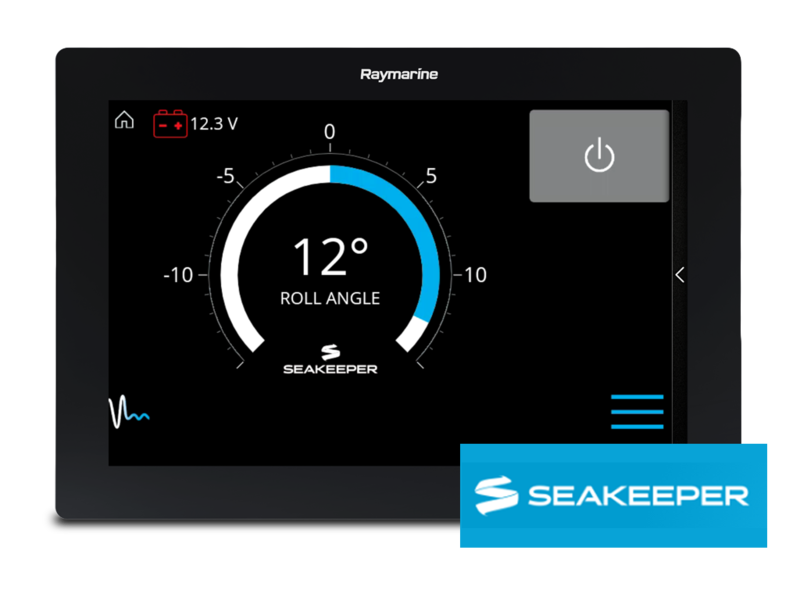 Link Axiom to your Seakeeper Operator Display for system status and remote control. Requires Seakeeper Ethernet Adapter Cable, (p/n 20380, sold separately). Control up to 10 Seakeeper gyro systems per vessel. 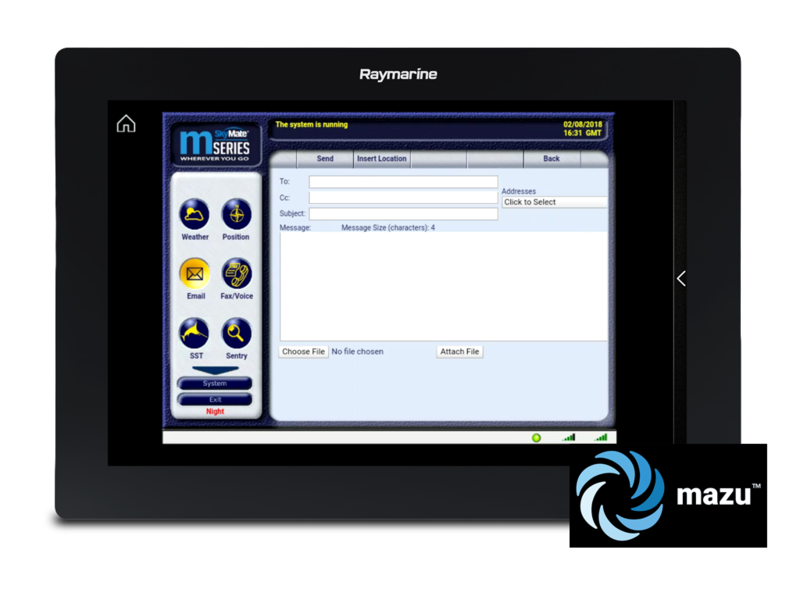 Access the award-winning mazu marine app right on your Axiom MFD. Calculate and display the distance to objects detected by the M132 or M232 marine thermal camera. Target range can be turned on or off in the MFD’s Camera Setup menu. Preserve your customizations and restore them with a few simple touches in the event a factory reset is ever needed. Saves profile-specific details including home screen page layouts, data overlays, and sonar, radar and camera page assignments. Backs up boat details, measurement units, digital switching dashboard configuration files and more. Accessed through the My Data menu on the home screen and saved to your microSD card. Resolves an issue where the electronic chart scale was not remembered when exiting and then coming back to any instance of the chart application, resulting in the chart ranging out to a very wide view. LightHouse 3 now remembers the last range-scale set on each chart instance and remembers it when you return to that page again. 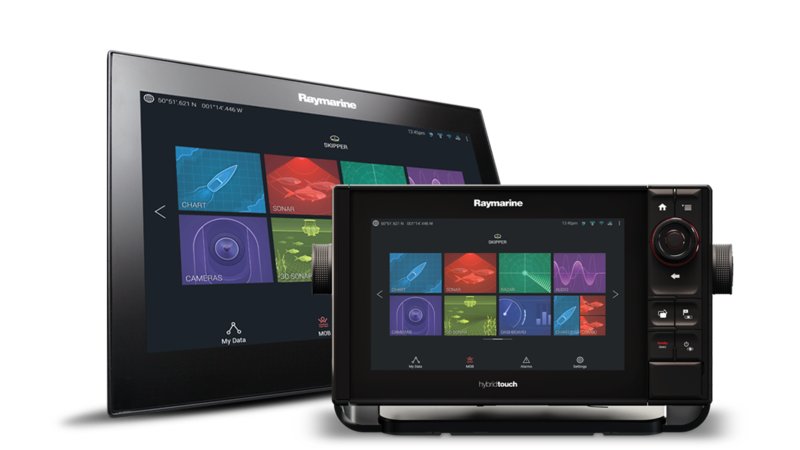 Resolves an issue where LightHouse 3 could crash if the CZone system control was enabled on a networked Mercury Vessel View display. 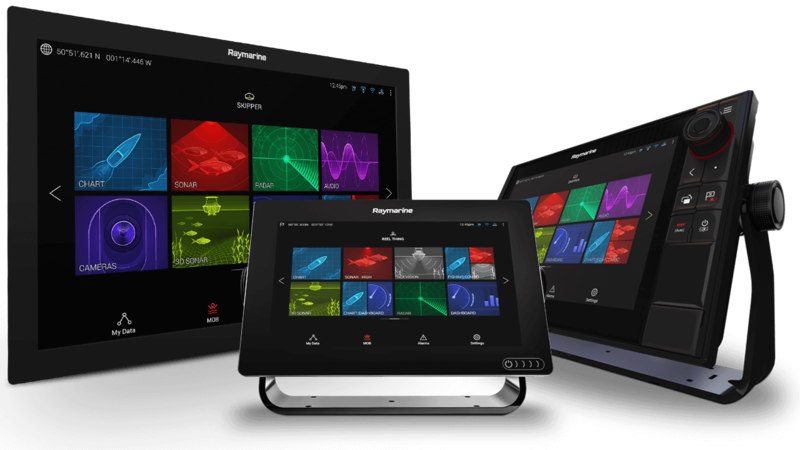 LightHouse 3 is now available for eS & gS Series Multifunction Displays as well as Axiom, Axiom Pro & Axiom XL models.